British parliment goes back to basics! Still as clear as mud! 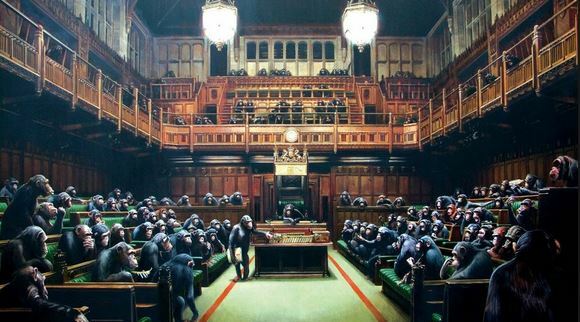 British graffiti artists Banksy mocks British MPs and goes viral. Posted on Apr 1, 2019 Mar 31, 2019 by Inglés MálagaPosted in VocabularyTagged academia ingles malaga, Business English Málaga, inglés negocios málaga, ingles EOI.